Are you intrigued with Cloud computing, are you considering Microsoft’s Windows Azure but don’t know whether this is going to actually save you money? 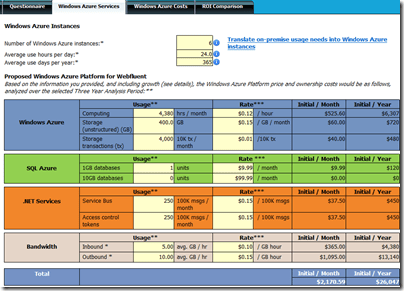 Then visit Windows Azure ROI / TCO calculator and find out. After you agree to the terms, you’ll then have to fill in a one page questionnaire. The most important question is about the expected ‘growth profile’ of your application, i.e. steady, predictable or spiked growth, etc. 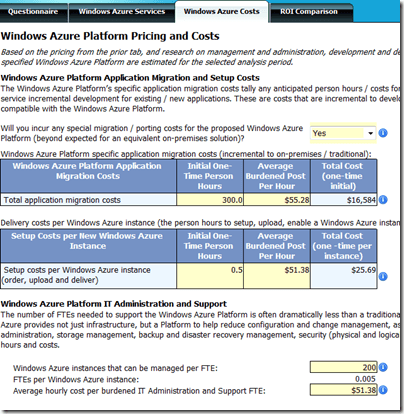 When you’re done with that you’ll be presented with a detailed cost estimate, which includes estimated costs for Windows Azure, SQL Azure, .NET Services and bandwidth costs. 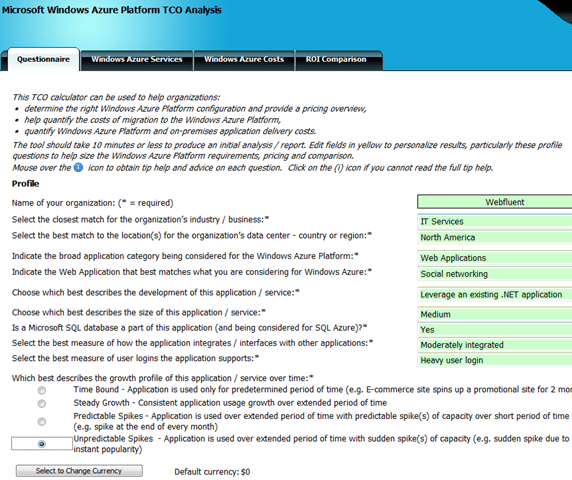 The tool also includes estimates for Platform IT Administration and Support and then a Windows Azure Platform TCO rollup for your application. Finally in the last tab you’ll find a detailed ROI comparison including the important ‘cost-savings’ estimated value.